The opening credits sequence, once a hallmark of the movies, seems to be an endangered species these days, a victim of ever-shrinking attention spans. Before the era of opening credits vanishes forever, CineFix pays tribute to this proud cinematic tradition with a countdown video called “10 Best Opening Title Sequences Of All Time.” Yes, this is formatted as a top 10 list—and, yes, a winner is crowned at the end (sort of)—but it’s really more of an exhibition than a competition. The point of the video is that a good credits sequence can be much more than a perfunctory list of names and job titles. It can set the mood, introduce the characters, foreshadow the plot, or even (as with Orson Welles’ iconic Touch Of Evil) get the story in motion. If there is one name, other than Saul Bass, that dominates this list, it is James Bond. The suave British superspy is still known for his elaborate title sequences, largely thanks to Maurice Binder, who worked on 14 Bond pictures, starting with Dr. No in 1962. 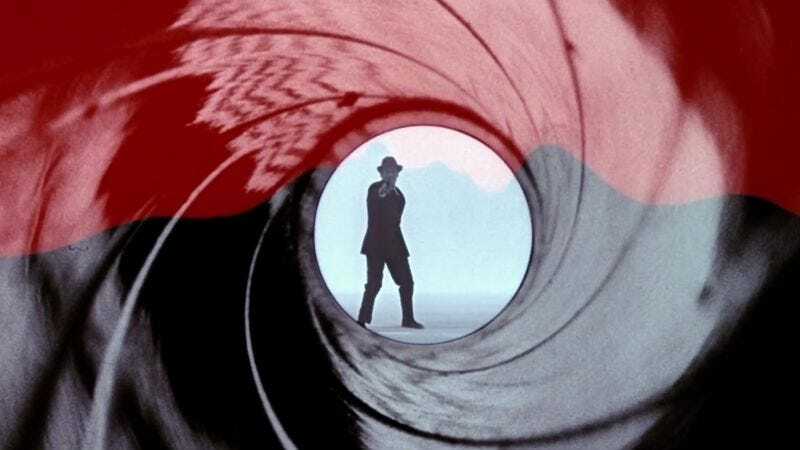 That film, with its unforgettable gun barrel image, grabs the seventh spot on the list, while Goldfinger comes in ninth. Other famous and highly regarded title sequences show up here, too, including the jazzy retro animation from Catch Me If You Can and the “tour of fear” that opens Fight Club.